A reminder if you are interested in running for an office on the HOA board, you must turn in your profile form to Spectrum no later than Monday, September 30, 2013 in order to qualify to run for office this December. There are 4 positions open for new property owners who might be interested in running for office. The board number total has been dropped to 7 and 3 of the current sitting board members are still serving their current terms. The remaining spots could be filled by new property owners interested in how our neighborhood assessment funds are allocated and how the neighborhood operates under our restrictions, etc. Maybe you have given thought to getting more involved…if so be sure to fill out the form and get it back to Spectrum by the deadline. 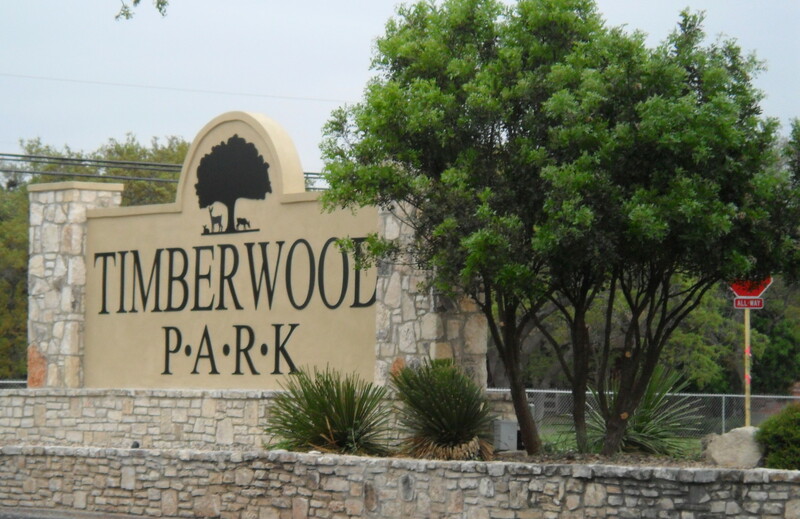 The form can be found on www.timberwoodparksa.org by clicking on the local news tab and scrolling down to find the Board Member Profile pdf to download. COMAL ISD BOND ELECTION: Comal ISD has been advertising the upcoming election for Bond 2013. Please visit the www.comalisd.org website for factual details about this upcoming vote in order to make an informed decision when you cast your vote. Click on the Bond 2013 located in the upper third of the page to obtain more details. The election is being held November 5, 2013. I believe early voting begins October 20. Voting sites are listed on the website as well as bond fact sheets and other details that should make it easier to have all the facts. Let your voice be heard and vote!!! HOA BOARD Meeting and National Night Out: October 1, 2013 at 6 pm will be the last meeting until the annual board meeting in December. If you want to be heard about anything Timberwood before the HOA board, this is the time to be there! Note the meeting time change. Board decided to change the time in order to accommodate National Night Out events that may be happening in the neighborhood. September brings with it several things that should be updated for the neighborhood. We have elections upcoming in December for the board positions of those stepping down from service to the neighborhood. It is my understanding at this time there will be 4 positions open for new neighbors to become involved in the neighborhood. The current board voted to drop the number of board members from 9 down to 7 and 4 current board members will be finishing their service this year without current plans to be re-elected. If you have an interest in how the neighborhood operates, how your assessment dollars are spent, how improvements for the 30 acre park are determined, etc. please consider running for office. I have posted the Board Profile form which must be provided to Spectrum not later than September 30, 2013 for anyone who might want to run for office. Go to the web page www.timberwoodparksa.org and click on Local News scrolling down to the bottom of the page for the form. October 1 will be the next HOA meeting — in addition to National Night Out for our neighborhood. Since this is the last meeting prior to elections in December, if you are interested in serving, you may want to be sure and attend and possibly go to some of the neighborhood events for National Night Out to meet some of your neighbors. 7 pm in the clubhouse. Signs are up around the area noting a public meeting to discuss continuing plans for the Bulverde Road expansion. September 12 at Cibolo Green Elementary School beginning at 6:30 p.m.
Take a look at www.cpsenergy.com to check for addresses near you, but the fairs will include discussions about a potential rate increase in 2014, energy efficiency programs, power outages and service reliability and more. These meetings are occurring through early October of this year at various locations. Concerts are scheduled for the coming weeks including one tonight with the Mo-Dels starting at 7:00 p.m. Check the Local News page on www.timberwoodparksa.org to see dates and times. This year the board chose to alternate Fridays and Saturdays as well as start times so be sure to check to see when each venue starts prior to heading to the park! Looking forward to some cooler weather soon!